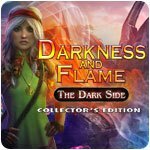 Darkness and Flame: The Dark Side Collector's Edition - Download and Play Free Version! 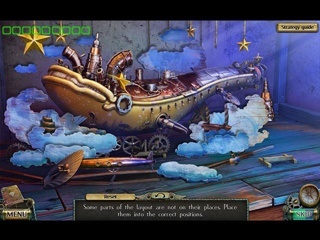 Having blown up the dam and poured thousands of tons of water onto the army of the Darkness, Alice and her companions were absolutely sure that they had won a victory. But it was by no means the end. The Dark Warrior managed to survive and he sent after them a hurricane so powerful that the three were nearly killed!.. Alice recovers consciousness and finds herself behind the Great Fissure, on the Dark Side, where regular people have not been able to get for a few decades already. 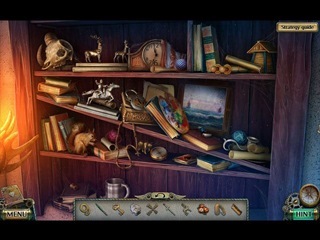 Now, when the girl has to find her uncle and Farador before the Darkness finds them first, the power of the burning flame, which the tender girl got in her childhood, is fading for unknown reasons... Will Alice manage to find her closed ones before the magic power leaves her forever?.. Travel together with young Alice about dark lands and deserted settlements, caves and oases of the Desert of Death. You are to get to the very heart of the deserted lands and cope with numerous challenges, avoid the traps and hide away from the Darkness. Are you ready for a difficult, but so thrilling journey to the other side?